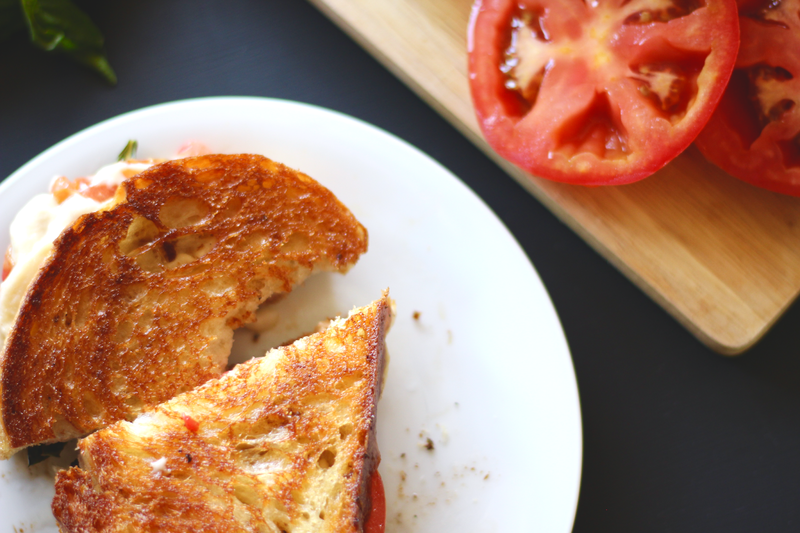 There is nothing quite like the almighty grilled cheese sandwich. 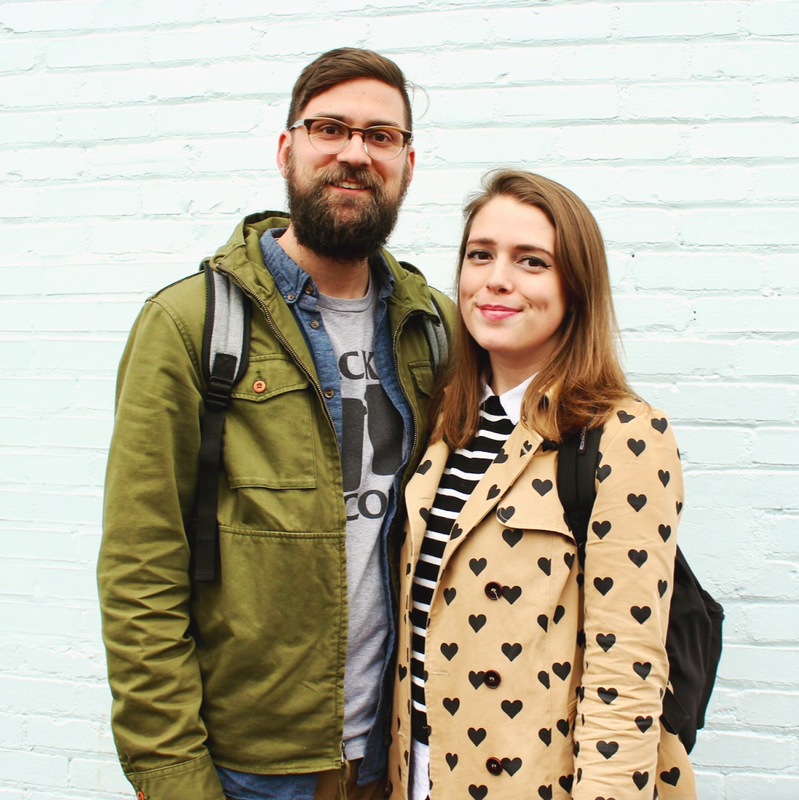 Sarah and I were recently at a restaurant here in Pittsburgh that specializes in gourmet grilled cheese sandwiches, and we fell in love. We knew we could achieve one of our favorites in a delicious, vegan form, and we succeeded! 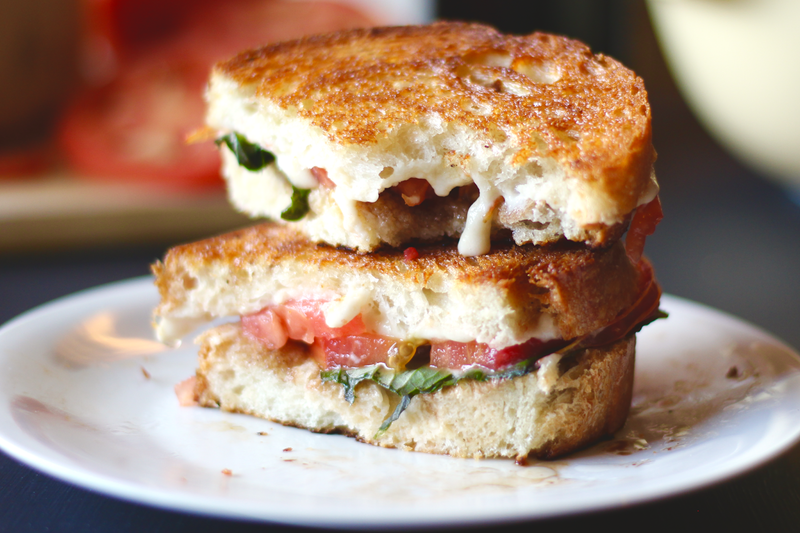 Behold, the Vegan Caprese Sandwich! This recipe is really all about making this vegan mozzarella (from It Doesn't Taste Like Chicken). We first made it for our Dairy-Free Cheese Pizza, and we couldn't wait to employ it in another recipe. 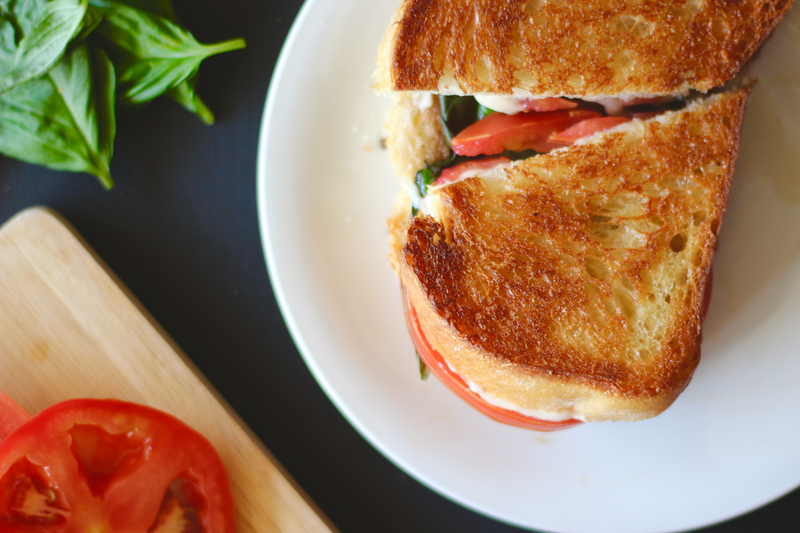 This sandwich was the perfect opportunity, and it did not disappoint! - Combine all ingredients in a blender, and blend until liquid. - Heat in a small saucepan on low heat, stirring constantly. - The mixture will start to form clumps. Continue stirring until thick and stretchy. 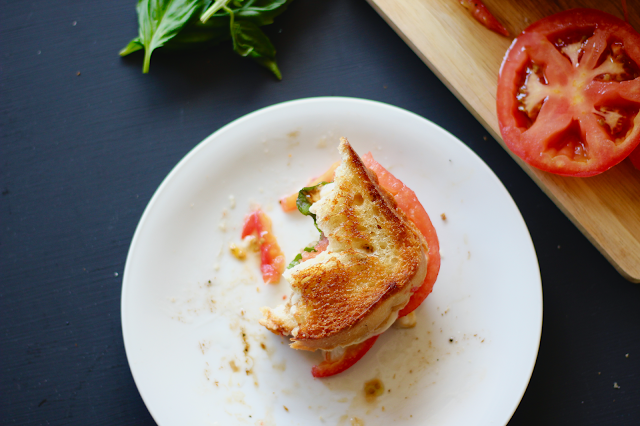 - Combine equal parts red wine vinegar and extra virgin olive oil. - Add a pinch of salt and black pepper. 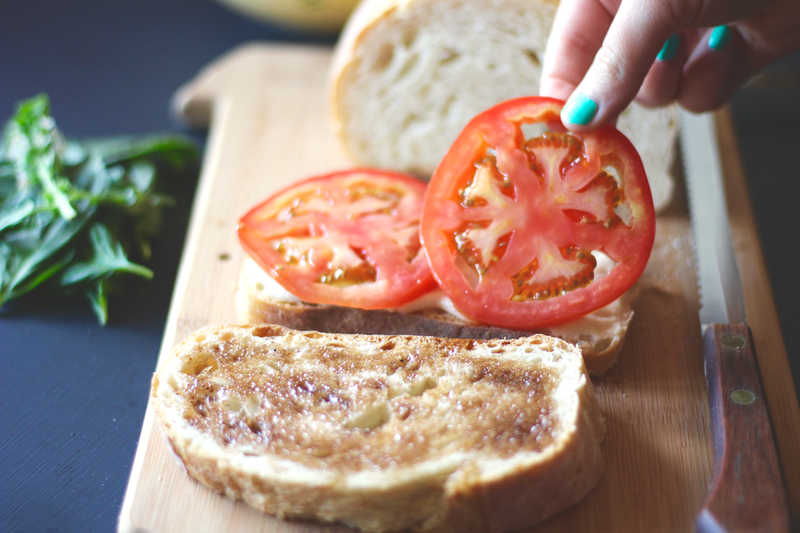 - Cut 2 thick slices of your bread. - On one slice, brush with the vinaigrette, on the other, add a thick layer of the vegan cheese. 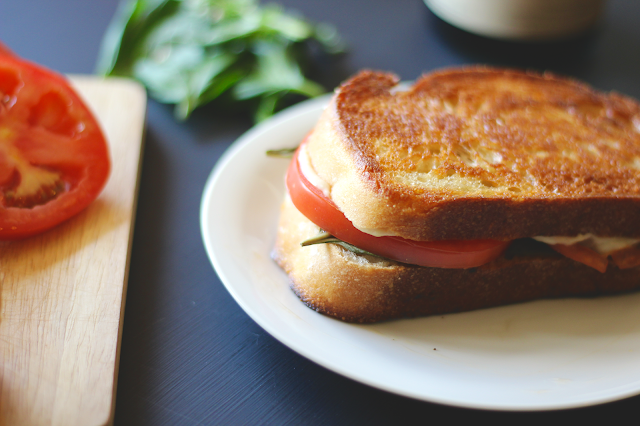 - Top with tomato slices and fresh basil leaves. - Grill in a hot, buttered skillet to your liking. Happy May, friends! 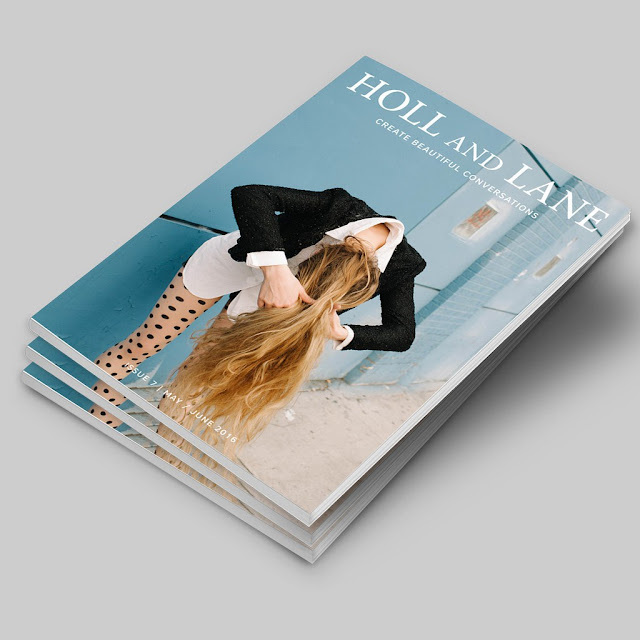 Yesterday Holl & Lane Magazine launched their 7th issue, which also happens to be the one year anniversary issue. We've been so thrilled to work with the magazine as a DIY contributor for this past year and we hope that you've enjoyed reading along. This issue will be our final issue as regular DIY contributors to the magazine, but we'll still be popping in from time to time, so stay tuned! In the spirit of celebrating one year of Holl & Lane, we wanted our DIYs to be fun, party ideas. 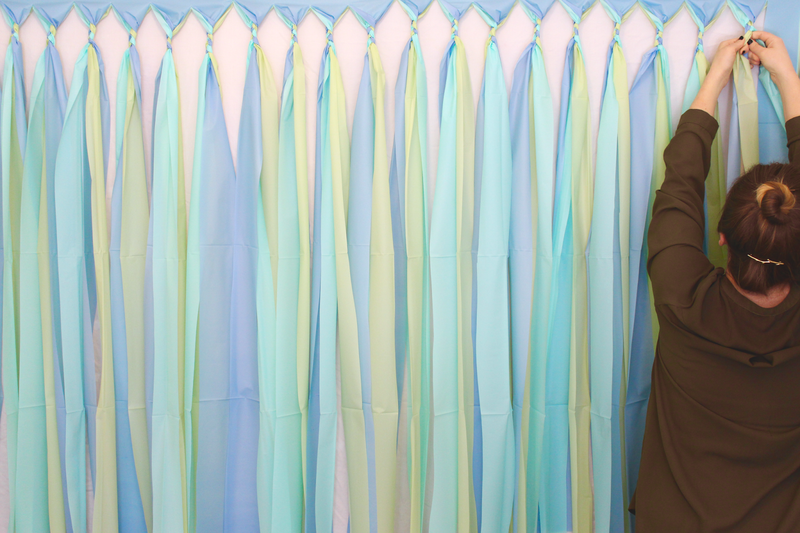 In this issue you'll find the super simple party backdrop pictured above! 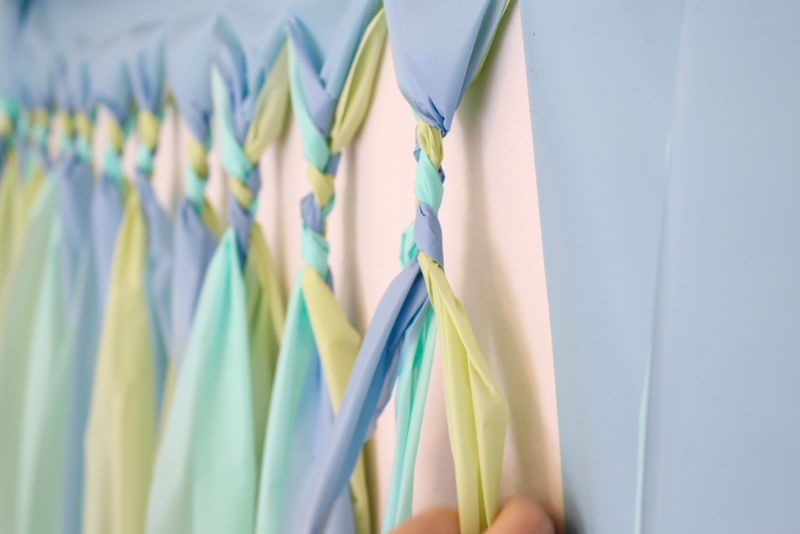 To get the full tutorial, download the latest issue of Holl & Lane here. You can also order print copies too! The Holl & Lane team works so hard to put each and every issue together and your support would mean the world to them! Thanks for reading!